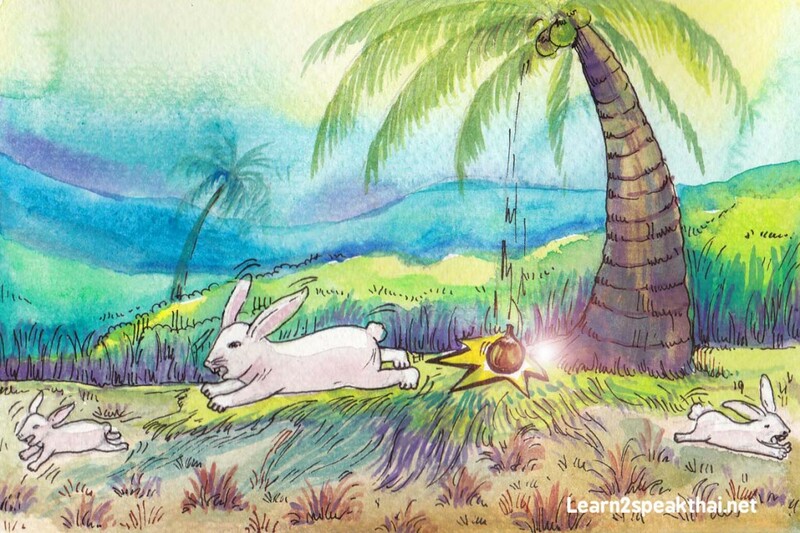 The rabbit startled by the boom. The rabbit is a small nervous animal, prey to many. So it must be alert to any small sounds that could be a predator approaching. It has large ears so that it can hear the tiniest noise and react to it. That tiny sound could be just an innocent rain drop falling on a leaf, or the wind through the grass. But an over cautious rabbit may react to this and run. This, of course, is an over-reaction to a situation or event, which is what this proverb describes. It’s just small problem, don’t be ตกใจ lilk the rabbit startled by the boom. Hi there,I check your new stuff named “Thai proverb : Make a mountain out of a molehill/กระต่ายตื่นตูม” on a regular basis.Your writing style is witty, keep it up! And you can look our website about تحميل اغانى.